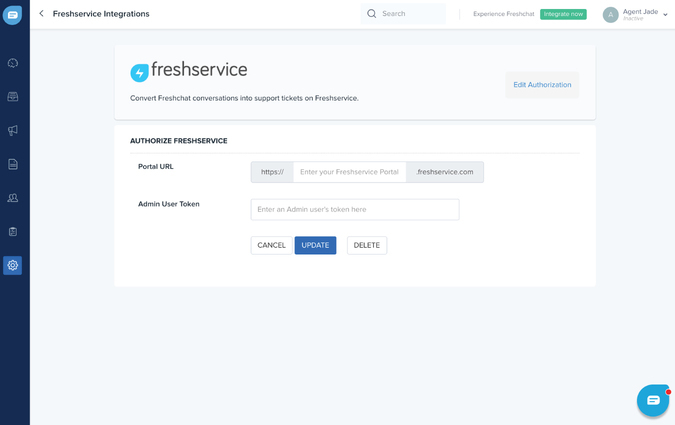 The Freshchat-Freshservice integration helps in bringing your support and messaging workflows together. 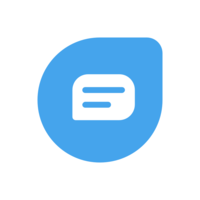 You can choose to convert specific conversations into tickets or all conversations into tickets by default. 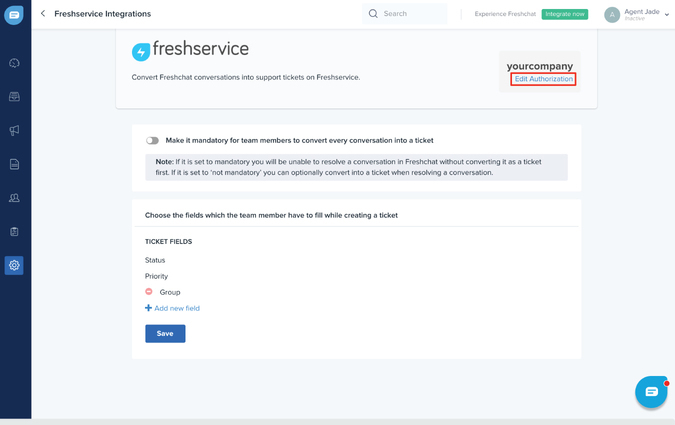 Integrating Freshchat and Freshservice provides you the convenience of converting your chats into tickets directly from within Freshchat. 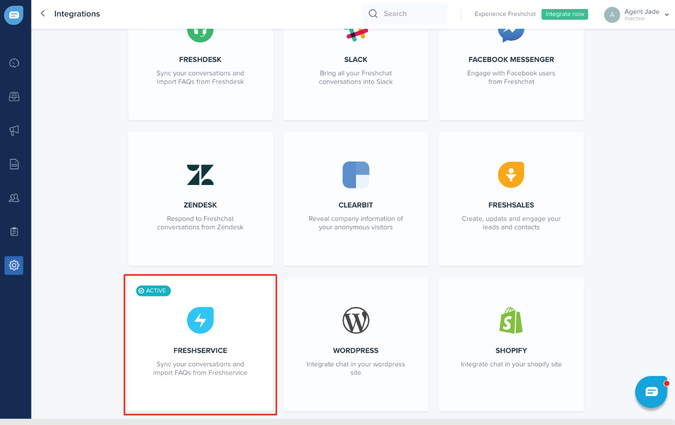 It helps you avoid the hassle of having to manually create tickets and switch between two applications to resolve a query. 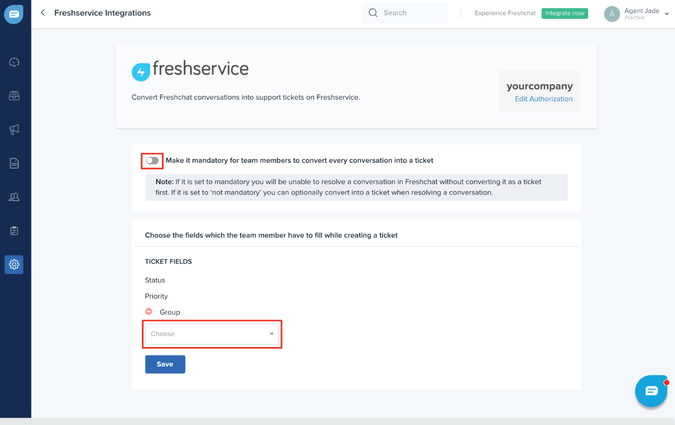 It not only streamlines the process of ticket creation but also helps you keep track of the tickets created for every conversation within Freshchat. 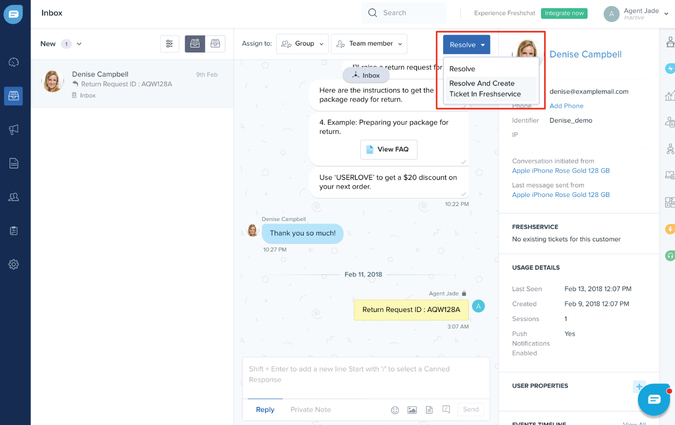 For detailed instructions on the integration process, refer the below link.